It's interesting to see what cards are banned and restricted in the different Old School formats. Each group often crafting it's own list of banned and restricted cards, errata and such. There's obvious overlap between the groups as we all face the same issues with the cards. Some rules are consistent across nearly all the groups while others can vary wildly. How do we as a community decide what cards are banned and what cards are restricted? It's easy enough to get online and see what was actually banned and restricted in the early 90's. What the original designers at Wizard's thought needed to be done back then to make the game "balanced" and "playable." Despite all the variation in rules, I've never experienced any trouble when playing someone online. There's never been any kind of rules argument or problem rear its ugly head. So what if someone forgets to remove a card from their deck that's legal in one group but not another? Despite being fanatics of the game we play, we're an easy going group of gamers if nothing else. 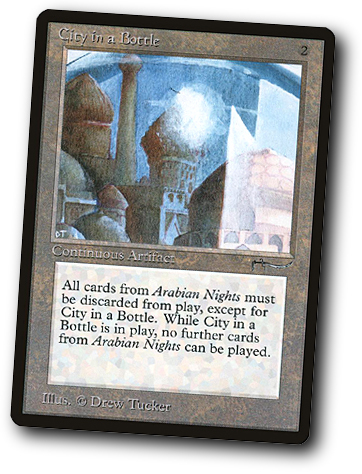 In a recent article written on Timewalking, the author lays out his case for the ban of the Arabian Nights card, City in a Bottle. A card capable of so much for so little. As an interesting side note, here's an article on the WotC site where Richard Garfield talks about designing the Arabian Nights expansion and the express purpose of City in a Bottle. Up until reading the article, I have to confess, I never really considered how City in a Bottle would impact my deck. Maybe I'm living in a bottle that I haven't considered its impact sooner. It's just not a card that I see often... or ever really. A quick thumb through my deck and the impact would be minimal if it were played against me in a match. I do see where the author points out that to some decks though, the card would have a much bigger impact. And maybe that's the biggest case for banning it as the author points out. The fact that it has the ability to "hamstring" certain builds with ease. But isn't that the case with a number of cards I started thinking? There are enchantments that crucify creature decks, cards that "kill" artifact heavy decks... they're all out there in some form or another. I know I've suffered at the hands of some of these cards myself. But isn't that just part of the game? Wizards has gone to great length over the years to smooth out the game from it's beginnings. To craft how its played. The balance of creatures, removals, power... all of it. And yet here we are, still playing that original format. Still dueling it out in the "wild west" as it's said sometimes. It's been almost 25 years. Years of new cards, expansions, rules, mechanics and everything in between. As Old School players, we have the advantage. We have those years of experience, the years of playing cards to draw from when we decide what needs to be restricted and banned in our format. We aren't making decisions where we don't know the outcome because we haven't had enough time to anticipate the results of our actions. 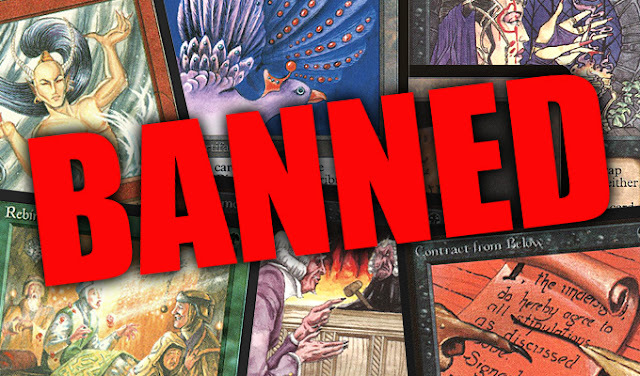 Restricting or banning a card in our format is not a decision taken lightly or done on a whim. I think deep down we all like the wild west aspect... we live for it and we'll fight tooth and nail to keep it despite the well known dangers we'll face in doing so. Ultimately, I'm in no position to make the decision. I can only offer my two cents on the matter if and when it ever comes up in my group. It's something we all should be prepared to do. We are the ones that determine where we want our format to go, the direction we want to take it in. We are the ones to determine how wild the west remains. We owe it to each other to stay informed about the format and it's current health. To voice our concerns (like adults) and hear out both sides of the discussion on any given card. Swing by Timewalking and give the article a read. 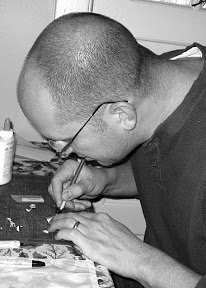 UPDATE: For those interested in reading another perspective on similar cards across the early expansions, check out this post from Old School Mtg titled, Bottled Up. IMAGE: Photo Illustration by yours truly. All card images from WotC.